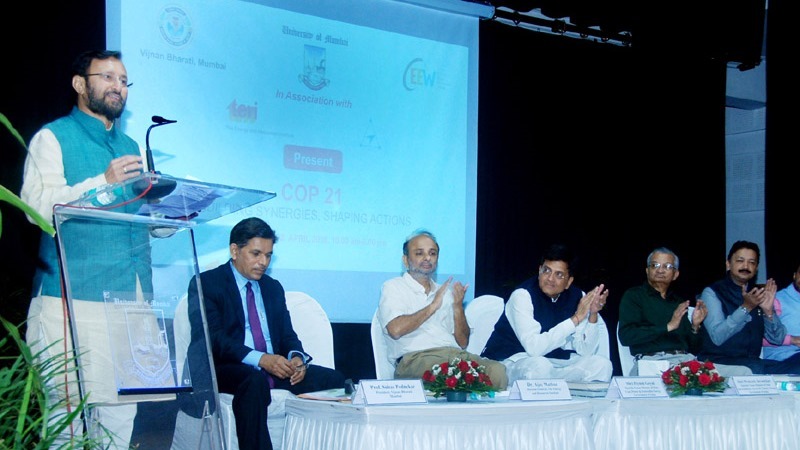 The Minister of State for Environment, Forest and Climate Change (MoEFCC) Shri Prakash Javadekar addressing at the seminar on COP 21- Building Synergies, Shaping Action” in Mumbai on April 02, 2016. 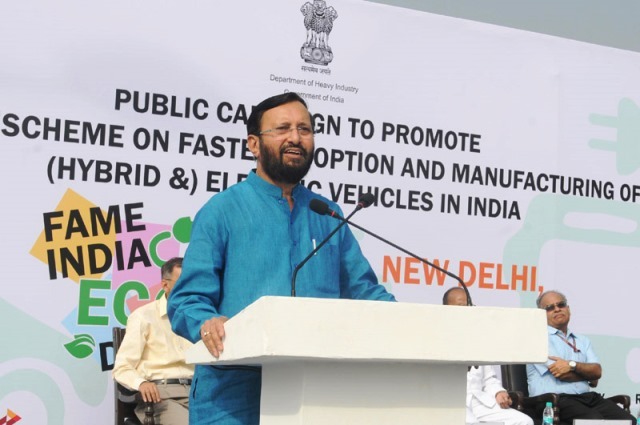 The Minister of State (Independent Charge) for Power, Coal and New and Renewable Energy, Shri Piyush Goyal and other dignitaries are also seen. 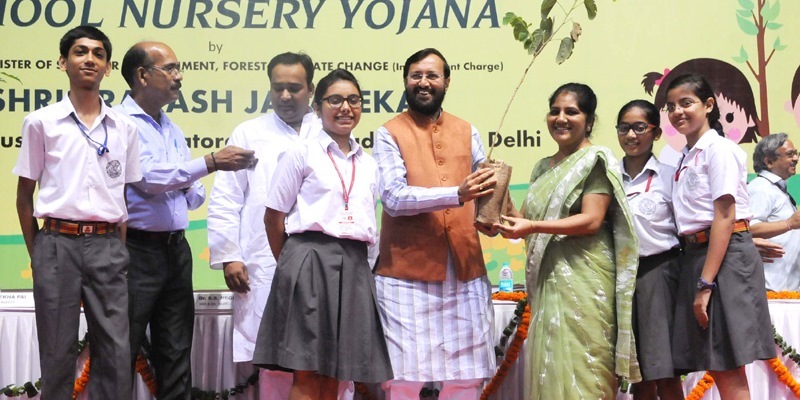 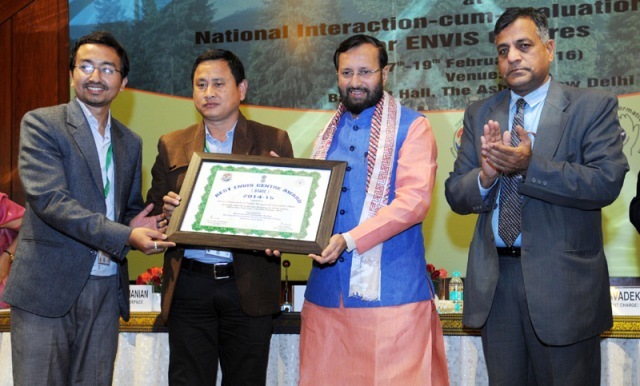 Environment Minister Shri Prakash Javadekar distributing saplings to school students at the launch of the School Nursery Yojana in New Delhi on August 10, 2015. 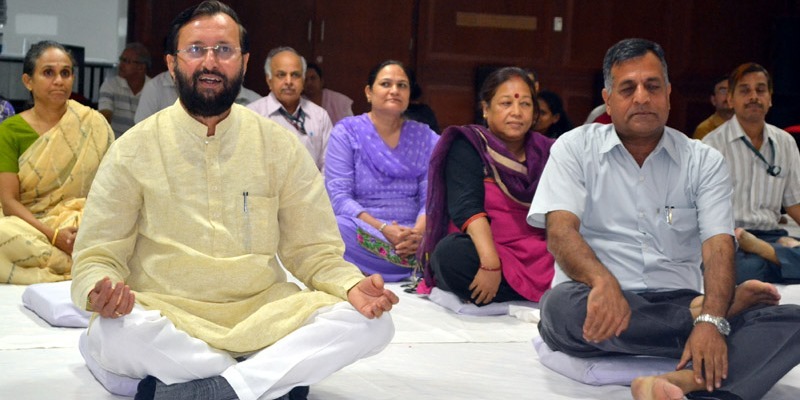 Environment Minister Shri Prakash Javadekar participating in a training session on Yoga ahead of the Celebration of International Yoga Day being held on 21st June, at Paryavaran Bhawan, in New Delhi on June 12, 2015. 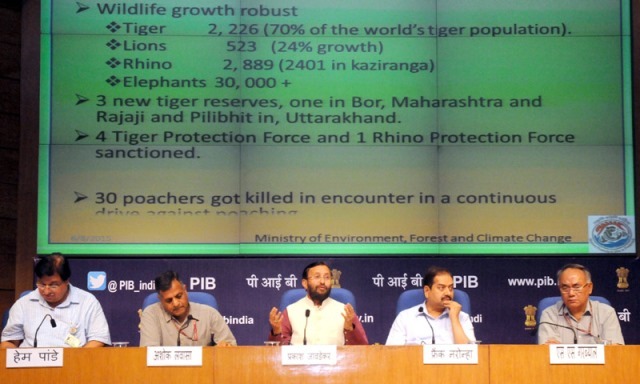 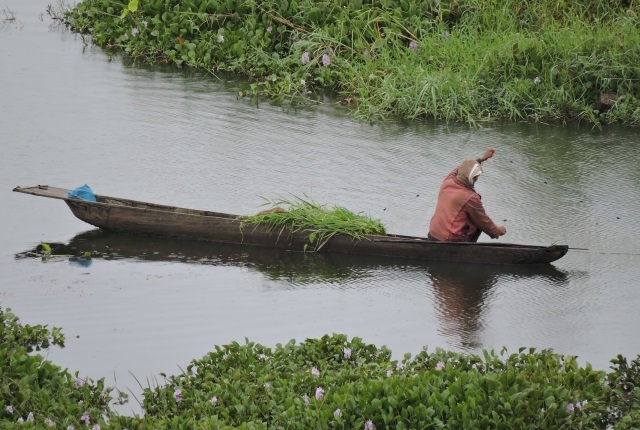 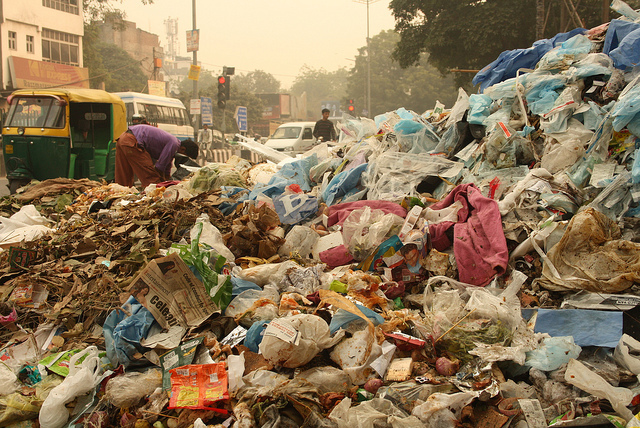 Environment Secretary Shri Ashok Lavasa and other officials of the Ministry are also seen.